Cats do an excellent job of self grooming and keep most parasites out of their coats. However, occasionally, your pet may come across a tick which it cannot remove on its own. If you are wondering how ticks affect cats, read on: we have all the information you need. What do ticks do to cats? 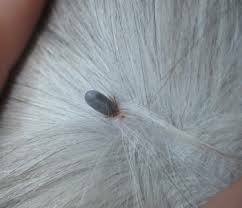 Ticks are tiny parasites that feed on blood of mammals, especially domesticated animals like dogs and cats. Tick bites can cause irritation to the skin around which the pet has been bitten. Your cat will scratch its skin vigorously or shake its head to deter ticks on its head/face. In extreme cases, and especially in very young kittens and older cats, tick bites could cause anemia or paralysis. You might also feel a cat-tick-bite lump on the skin where the tick has injected its pincers into the cat’s fur and skin for drawing out its blood. In rare cases, ticks on cats can cause Lyme disease or other serious diseases characterized by fever, appetite loss, lethargy, depression and chronic joint aches. In the United States, the most common cat tick is the lone star tick. The adult and nymph of this species are active in late spring while the larvae appear in late summer. This tick is an important vector of diseases like ehrlichiosis and Tularemia in domestic cats. Female ticks lay up to 5000 eggs on their host and its environment. Adult ticks, both males and females, feed on the cat, engorge and mate. Male ticks usually die after mating while females live up to laying eggs in protected areas on the ground. How do ticks get on your cat? Ticks usually lie in wait for hosts in tall grasses and shrubs. They quickly get stuck to the cat’s body as soon as it brushes past them. Ticks cannot fly but they can crawl fairly rapidly, several feet at a time, to reach their host. What can you do to prevent ticks from getting attached to your cat’s body? You can buy commercially available tick repellent products to use on your pets. They include sprays, powders, spot treatments and tick collars. You will need to bathe the cat well with an anti-tick shampoo prior to using these products. Bathing will kill the ticks and larvae present on the cat’s body. Thereafter, you can use tick collars, oral medicines or spot treatment drops to repel ticks from biting your pet. You will need to treat all your pets in this manner in order to prevent re-infestation. Never use tick products made for dogs on your cat as some of them could cause serious toxicity to the felines. You will also need to clean the cat’s environment thoroughly. Vacuuming the carpets and rugs can help eliminate eggs, adults and nymphs to prevent them from getting back on the cat. Continue to monitor the tick presence on the cat as well. If you are still seeing ticks on its body, you must bathe the cat again and re-treat it with oral or topical tick medicine after couple of weeks. 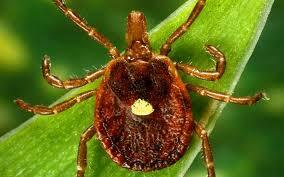 Most tick products are effective for a few weeks up to a month; so re-treat the animal accordingly. You will also need to treat your yard for ticks. Mow the lawn to keep the grass blades short. Eliminate clutter and hiding areas for ticks. Prevent wild animals from harboring in your yard by removing debris, wood piles, etc. Remember that indoor cats are also not safe from ticks: they may still get ticks from other animals or even from cat ticks on humans. If you see a tick on your cat, remove it using a pair of tweezers. Grasp the tick firmly with the tweezers close to the surface of the skin and pull it out upwards, vertically. Do not squeeze the tick as this could cause infected blood to come out. Wash your hands immediately after removing the tick. You can bag the tick for identification. Apply disinfectant medicine on the site of the bite. If your cat has a lump following the tick bite, gently apply some Neosporin ointment on it. Observe the cat for a few days for signs of fever, lethargy etc. Also inspect the cat’s body for other ticks. Visit the vet in case of a heavy infestation. If you have seen a tick attached to your cat, do not panic. Very rarely do cats acquire Lyme or other tick-borne diseases. Also, very few ticks actually carry such disease-causing organisms. That said; you should proactively treat all your pets with tick and flea preventive products approved by the vet. This will give you peace of mind and keep your cat healthy all year round.